With his decision two summers ago to not stand for the national anthem, Colin Kaepernick became the face of a protest movement in the NFL against racial injustice and police brutality. Now, the former quarterback has become a face of one of the most iconic advertising campaigns in the history of sports: Nike's "Just Do It" campaign. As part of the campaign commemorating the 30th anniversary of "Just Do It," Nike will produce new Kaepernick apparel, including a shoe and a T-shirt, according to The New York Times. 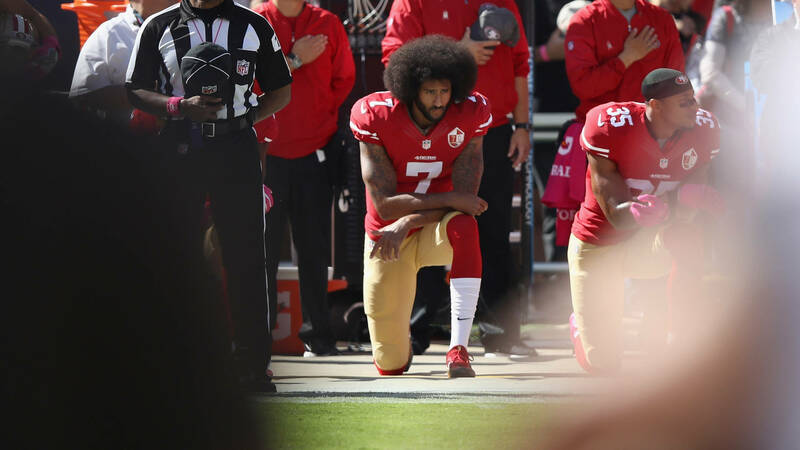 The company — which supplies game-day uniforms and sideline apparel for the league's 32 teams — will also donate to Kaepernick's "Know Your Rights" campaign, according to the Times.